Welcome to Sudan's Secret Side! This DVD is licensed for home use only. SUDAN’S SECRET SIDE takes you undercover inside a Sudanese refugee camp. This eye-opening documentary reveals the camp’s medieval medical practices, from bleeding to burning, and the butcher who moonlights as the camp surgeon. It explores the thriving underground camp economy, from the local grain-milling mafia to the women who brew illegal beer. Meet the aid workers who struggle to survive carjackings, dust storms, and toads - while still keeping the peace between the camps and the surrounding hostile villagers. Watch a seven-year-old boy at his circumcision ceremony, knowing that his future depends on his courage under the knife. Join the soldiers who believe their magical amulets will protect them from enemy bullets as they head for the border to fight the endless wars that keep the refugees from going home. And finally, celebrate the stunning courage of a group of young refugees who defy their own culture to give girls a chance to get an education. 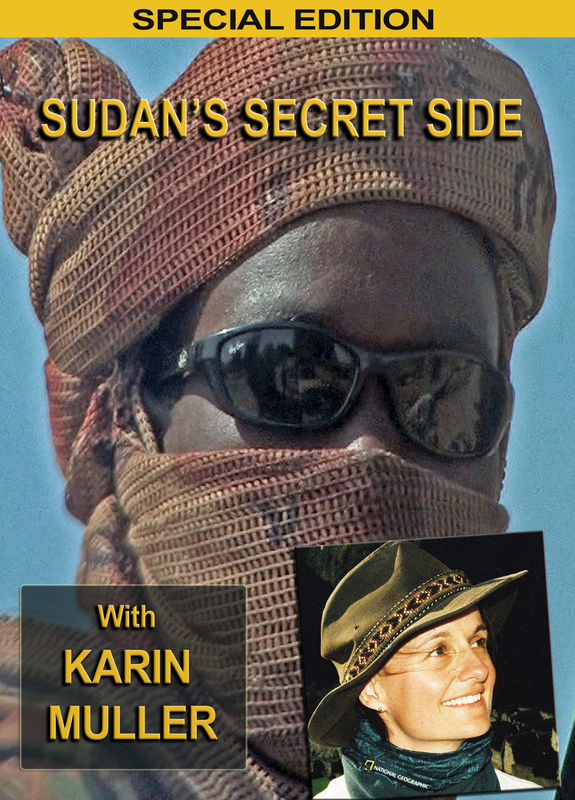 Sudan’s Secret Side is an unforgettable journey into a world few Westerners will ever see. Teachers, educators, students, and parents! We're NOT going to offer you the standard PBS educational package where your students passively watch a documentary and then answer questions. We're doing something no other broadcast documentary producers have ever done before. We're giving your students the footage used to create this series and showing them how to make their own mini-documentaries. Our goal? To help you teach your students to think critically, develop real-world problem solving skills, collaborate, argue persuasively, and ultimately to become true global citizens. But don't tell them that. They'll just be excited by the chance to be the next Ken Burns - and while they're making their movies, they'll not only be mastering a whole new set of skills, but they'll be learning to care about the world. Go to Take 2 and check out our materials. We'll send you a DVD with several hours of broadcast-quality footage and a complete curriculum that conforms to national standards. Students use free iMovie or MovieMaker software to create short documentaries or public service announcements. How-to videos, worksheets, PowerPoint presentations, assessment rubrics, and other activities lead students step-by step through the process of researching their topic, critically analyzing issues, and creating logical and persuasive arguments. Upon completion of their documentaries, students learn leadership and public speaking skills by presenting their projects to classmates or to the general public. Our curriculum is flexible and can be completed in as little as 5-7 classroom periods or over the course of several months. Women and Education, Displacement, Humanitarian Aid, Medicine in North Africa, Surviving Genocide, and Politics and War. You should know that we also have footage on Cuba (Communism, the Black Market, Entertainment, Dual-Currency Economy, Music&Religion, Transportation, Working Life, and Festivals), and global environmental issues (energy, water, oceans, and conservation). The licensing fee is $50-$95 per classroom per year. It has sample footage and curriculum, detailed descriptions of the topics we offer, and contact information if you have any questions. Take2 is a 501(c)3 nonprofit.